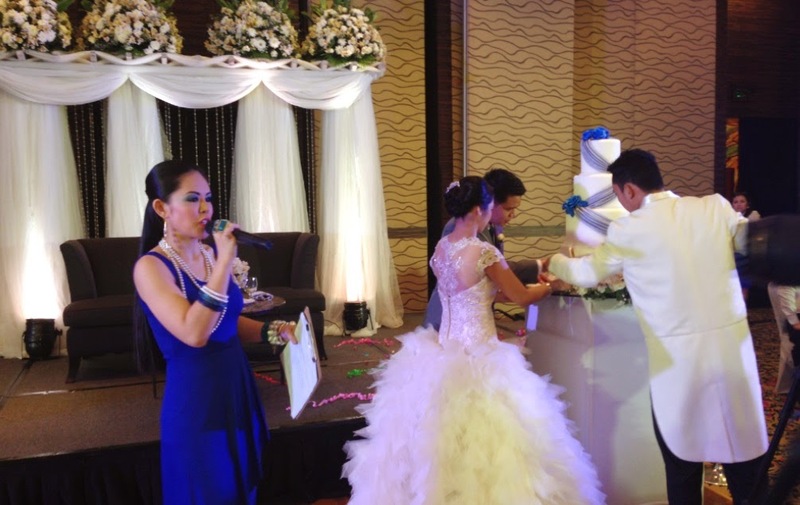 So honored to be the host of Mrs. Jo Alano-De Monteverde and Mr. Jae de Monteverde's breathtaking wedding held at the Bellevue Hotel Alabang. That night I shared my passion for words while the couple and their loving family shared their love! This hosting gig was nothing short of a blessing as the organizer just called me a week before, and instantly, this sweet couple and I clicked. 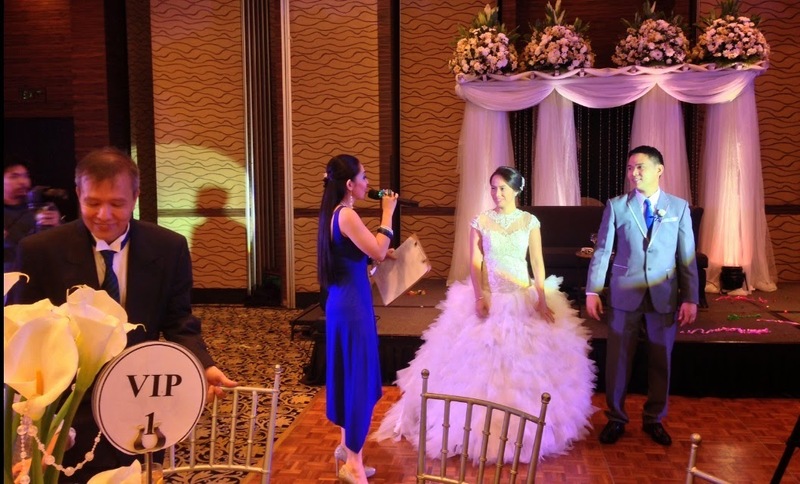 I had a blast as I emceed for their short yet solemn wedding reception, and since this night, I understood that Love always prevails. There was so much love that night! Love, Light and Life! 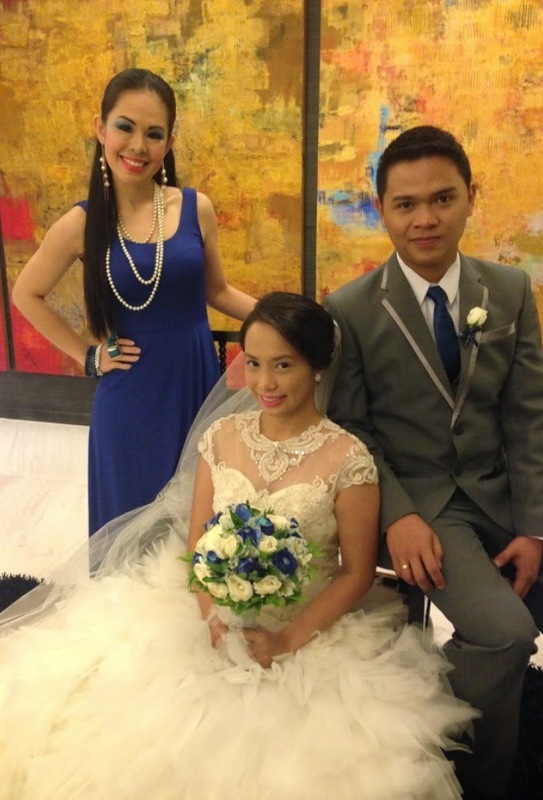 Thanks, beautiful Jo and dashing Jae for trusting me with your special night! Once there were three seeds who dreamed of what they will become when they become trees, and their wood cut down to become something great. The first seed said that it wanted its wood to become a treasure chest within which the most precious stones will be held, residing in a grand King and Queen's palace. The second little seed hoped to become part of a magnificent ship with the greatest Captain steering it through the most frightening storms. And the third thought it was most grand as it dreamed of becoming a great edifice upon a mountain top, part of a magnificent sanctuary that all the world please drop on their knees and pay homage to. Time came the seeds became big magnificent trees, and afterwards came the time they were cut up into wood. The first tree wept at its fate for it did not become a treasure chest in a magnificent palace but simply became a lowly feeding box of hay for stable animals. But one day, a Virgin woman with Child and her husband found that lowly feeding box within a manger, and there laid their newborn child. While the first never held any precious diamonds, pearls or rubies - it held the most magnificent treasure of all - the Word that became Flesh, the Baby Jesus. Years passed and the second tree wept at how it did not become part of a magnificent ship, but only that of a poor fisherman's boat. But it was on this very boat that the greatest of all Captains came to calm the storm - it was Christ Jesus who performed a miracle by calming a perilous tempest. And lastly, the third tree grew sullen at how it can never be part of a great edifice or castle, for it was just chopped down to became a cross, and he heard for miserable thieves to be punished with. He was dragged for hours only to stand erect in Mount Calvary... and on this Mountain, the Messiah was Crucified. Indeed, Life is not always how we wish it to be, but only when we look deeper into our hearts will we understand that God gives us more than what we deserve. Merry Christmas! Hooray for Cosplay Animania 2014 !!! From a string of corporate & brand launches, I now splash into a world of fantasy and color for the first-ever Cosplay Animania, thanks to Eventastic Consultancy's head, Ms. Tiny Garner whom I have known since I was very young. I will always be indebted to her for she gave me a kick start at event hosting - by getting me as the resident events host of Enchanted Kingdom. This was one truly mesmerizing party where I saw my favorite characters and Anime characters (that I never even knew existed) alike all come together in one stage for a fashion show and friendly competition. To kick-start the event, we awarded Manga enthusiasts for a pocket event consisting of an art competition where three winners walked away with fabulous prizes! The event also featured up & coming bands which literally brought the house down! I loved everything about this event - from the intense energy of the audience - mostly Anime/ Manga enthusiasts who came to cheer for their bet Cosplayers, and of course to the cute Cosplayers who did not only share the backstage dressing room with me, but also their life stories. Some were students, others were professionals - each of them coming from different walks of life, all brought together by one passion - Anime Fashion! Congratulations to all the winners and participants of this year's highly successful Cosplay Animania 2014! "Imagination is the pair of wings that lets your ideas fly toward reality... just fly with the winds of hard-work, honesty and optimism, then you will surely be led to Success..."